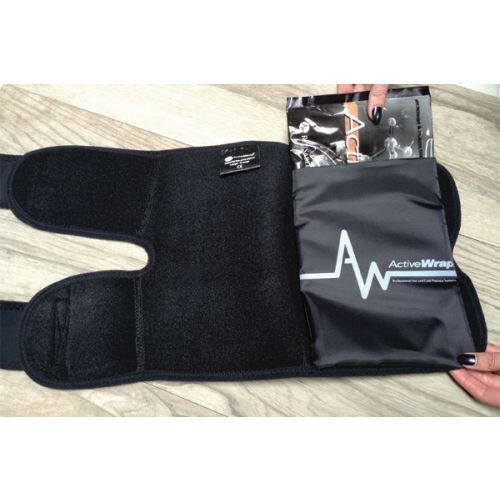 For dual heat, ice and compression therapy, the Knee Ice and Heat Wrap by ActiveWrap takes care of it all. Its patented design has been delivering relief since 1997 to knee sprains and strains, swelling, acl tears, arthritis, and post knee surgery recovery. The wrap is versatile and can also be secured to the shin to relieve painful shin splints and thigh for hamstring tears. 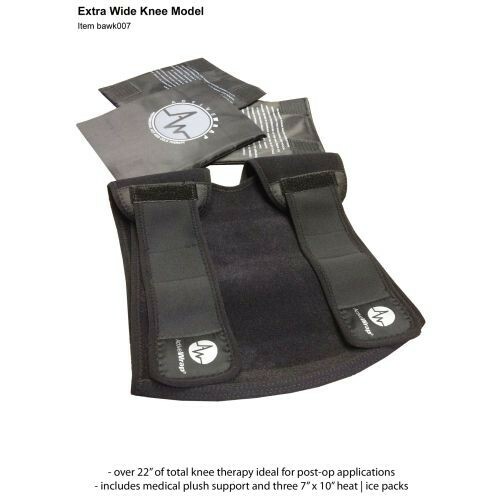 This knee wrap is not your standard drugstore wrap, it is constructed of professional medical grade materials for comfort and durability with Active Medical Plush™ compression technology. The straps provide the important compression as well as provide a custom fit with easy fastening. The wrap is sewn with a hook and loop fasteners with flat-lock stitching to stand up to continual use and machine washing. Two reusable hot or cold gel packs come standard with the Knee wrap. It's made of a uniform non-toxic gel that never hardens so it always conforms to the knee to offer the best coverage. The gel packs are inserted in a cover on the inside of the wrap. Users never have to worry about wraps leaking or slipping. For ice therapy, also known as cryotherapy, place pack in the freezer for two to three hours. When needing comforting moist, heat therapy, place gel packs in a bowl with water and microwave to desired temperature. Vitality Medical also carries ActiveWrap Compression therapy wraps for the shoulder and hip. Size: Get the measurement around the knee by measuring three inches above the knee to obtain the circumference.